Is Elon Musk’s Boring Company a Sustainable Idea? Elon Musk has been doing very boring things, recently. But, The Boring Company, after his big contribution to the space junk, is a new level of his bold attempts. The claim of The Boring Company is that all the problem of traffic emanates from the dimensional restriction to 2D. The only way to circumvent is either flying or digging, aka boring tunnels. Flying cars obviously is not here yet so we are left with the only option. 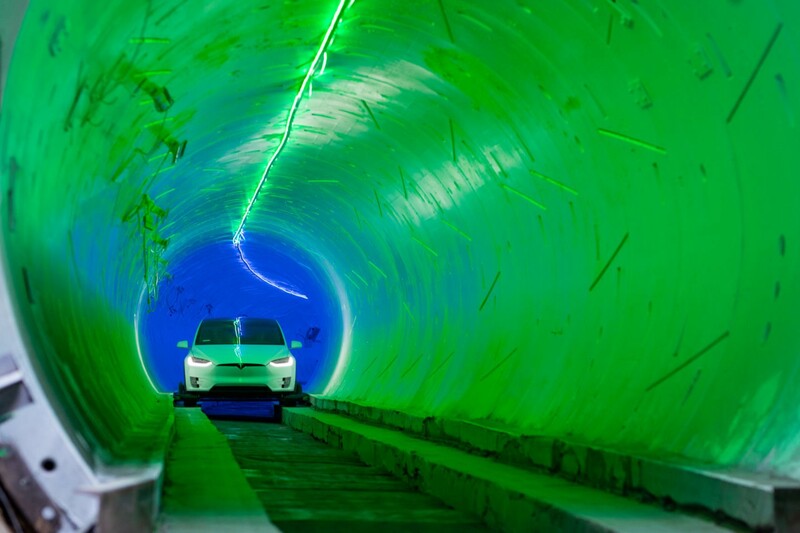 A modified, autonomous Tesla cruising in the “Boring” tunnel (Credit: Ars Technica). · Replacing diesel machines with electric, because, he is Elon Musk. Sounds exciting, right? Unfortunately, The Boring Company’s website tells little on everything and nothing on the details. Along with the oxymoronic problems, tunnel constructions have very serious environmental issues which are the main subject of this article. Hypothesis: Tunnel construction is not sustainable. Scientific research shows that tunnel and underground boring constructions are truly and utterly unsustainable . This a natural result of the massive work to drill, move, ventilate, reinforce, insulate, operate etc. which are all done subterranean. 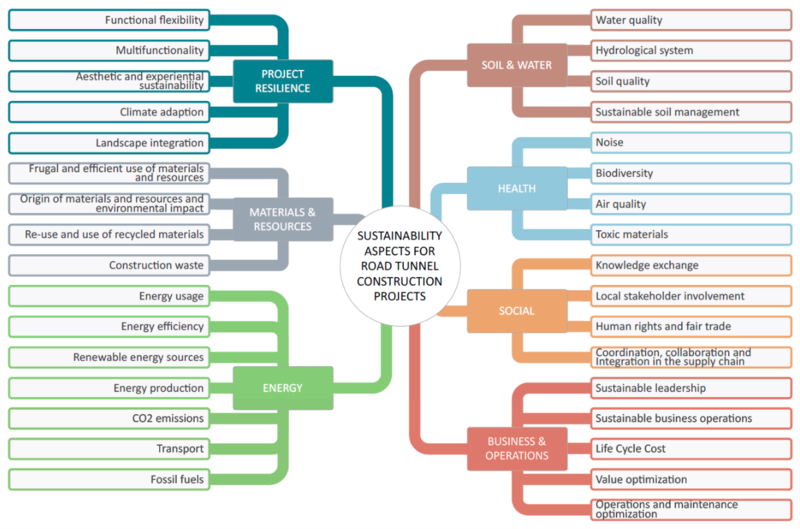 Sustainability aspects of tunnel construction projects . Driving in tunnels is also highly inefficient due to the aerodynamic resistance . This air resistance that is increasing exponentially by the speed significantly raises the greenhouse gas (GHG) emissions of travel. In the beginning, The Boring Company’s tunnels were for Hyperloop which is a concept of high-velocity mass transit train sliding in a vacuum tube. But now it seems they are starting to abandon the idea and their latest tunnels are just, plain tunnels. So, their Tesla is also subject to the same laws of hydrodynamics. The most distinctive sustainability issue of tunnels is seen in comparison to roads and bridges. At the same amount of construction, tunnels have the worst carbon footprint . In the analysis of a highway construction in China, it was found that tunnels emit CO2 eight times more than roads . CO2 emission density of road, bridge and tunnel constructions (Plotted from ). The design of tunnels is very challenging. Geological parameters prevent an easy, straightforward construction. 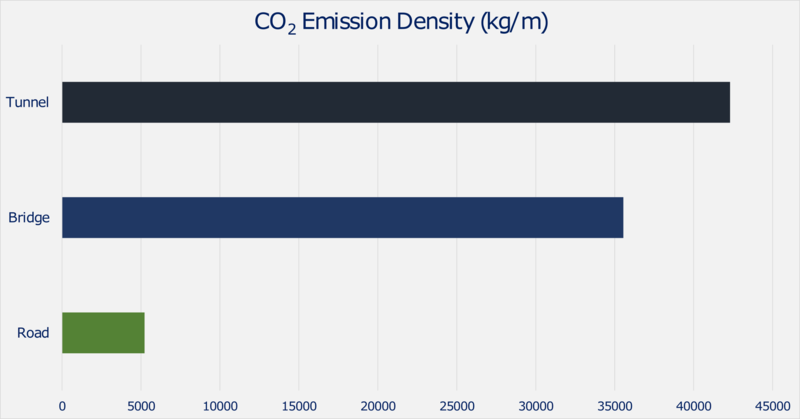 However, the actual constraint is the size; larger diameter means bigger GHG emission . 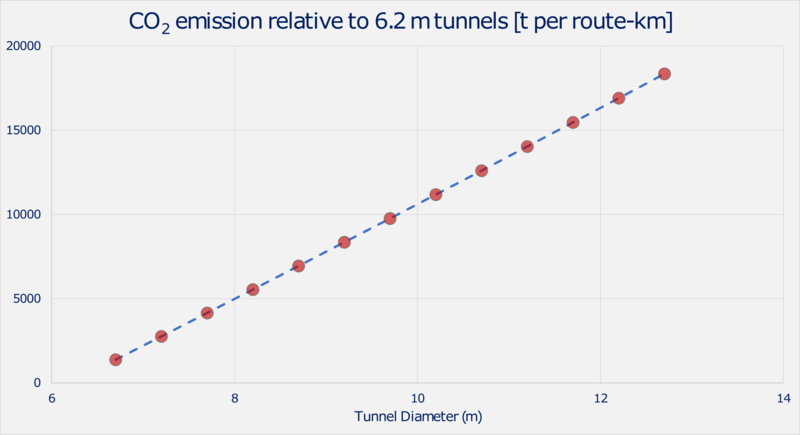 Effect of tunnel diameter on the CO2 emission (Plotted from ). Operating tunnels are also seriously energy intensive [9,10]. They require continual maintenance, periodic major refurbishments, and upgrades, while lighting, cameras, public address, ventilation and a multitude of additional systems use energy 24 hours a day . Energy use profiles . Tunnels consume much more energy than ordinary roads, especially in the long run. Sometimes fun, exciting ideas may not be feasible. The Boring Company is one of them. Aside from the possibility of a publicity stunt, they are suggesting an environmentally reckless project. Traffic is not a mere engineering problem; there is more of a social, economic and physiological basis. Governments, NGOs and companies should start with focusing on individual driver behavior, regional inequality, and humane mass transit. Darinde Jolijn Gijzel, Sustainability aspects and its selection process for road tunnel construction projects, MSc Thesis report, Rotterdam, June 2014. Pritchard, J. A., & Preston, J. (2018). Understanding the contribution of tunnels to the overall energy consumption of and carbon emissions from a railway. Transportation Research Part D: Transport and Environment, 65, 551–563. Greenhouse Gas Emissions Mitigation in Road Construction and Rehabilitation, The World Bank Working Paper, 2011/06/01. Wang, X., Duan, Z., Wu, L., & Yang, D. (2015). Estimation of carbon dioxide emission in highway construction: A case study in southwest region of China. Journal of Cleaner Production, 103, 705–714. Philip DUARTE, Alun THOMAS, Matthew COOKE, Sustainability and the Tunnelling Industry, UNDER CITY Colloquium on Using Underground Space in Urban Areas in South-East Europe, April 12–14, 2012, Dubrovnik, Croatia. Miliutenko, S., Åkerman, J., & Björklund, A. (2012). 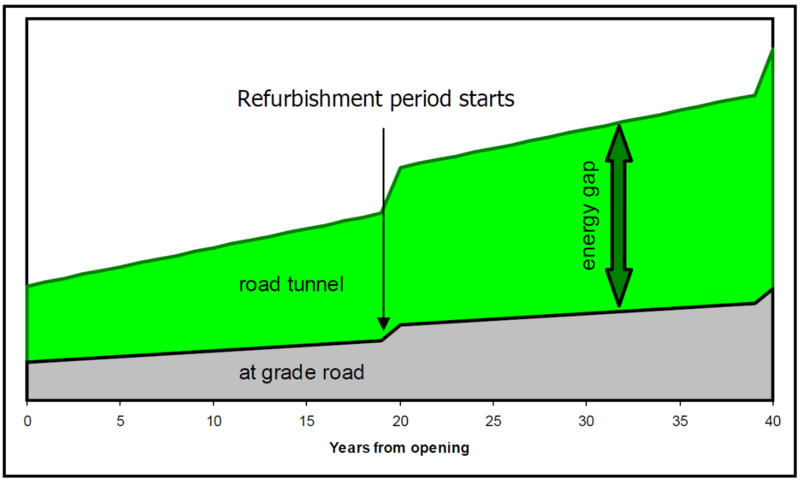 Energy Use and Greenhouse Gas Emissions during the Life Cycle Stages of a Road Tunnel: the Swedish Case Norra Länken. European Journal of Transport and Infrastructure Research, 12(1), 39–62. Founder of startups on advanced materials, computational sciences, and green chemistry. Now, helping companies to turn ideas into market-ready products.